We often get asked by readers is S. boulardii is safe to consume for people with IBD and IBS and is it actually beneficial? My answer up till now has been: When I tested it on myself – over 25 years ago – my body didn’t like it very much. And then I had a discussion with the then-president of the BC Naturopathic Association and he told me that while it might be okay in short-term doses, he did not recommend anyone take it long-term, as it is a yeast. But now, we have additional hard-science evidence (from the Journal of Clinical Microbiology) that when you purchase Saccharomyces boulardii, that may not actually be what you’re ingesting. Researchers purchased 3 different S. boulardii products commercially available in France and Italy. So this would be like you going to your local health store, or online, and buying an S. boulardii supplement. 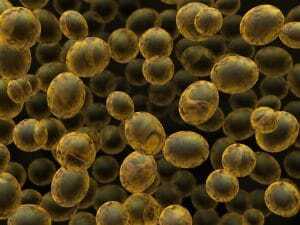 And what is Saccharomyces cerevisiae? It is another species of yeast that can be virulent (cause infection/harm) or avirulent (benign), depending on the strain. So there you go. This is similar to what can happen with digestive enzymes; most of them contain traces of the aspergillus spores they were cultured on. So when you’re assessing which supplement is actually going to benefit you, you must look at the manufacturer of the supplement – how are they producing it, what is their raw materials testing procedure, what is their finished product testing protocol?